The search for the perfect oriental rug can be time consuming and require a lot of effort. When you finally find the right one, you may be tempted to feel the quest is over; the search is done. 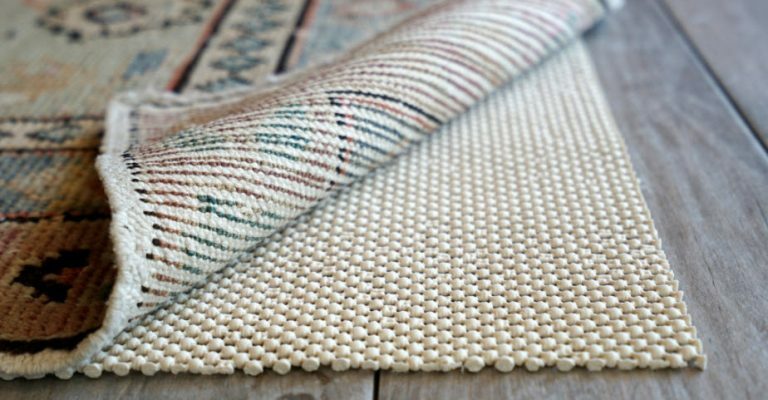 However, there are some good reasons to take the next step and grab a pad for your rug. Maybe you feel a pad takes away from the rug’s authenticity, or gives it too much of a “Western” feel. Even so, getting a pad should at least be a serious consideration. Here’s why. A pad is a great way to help reduce the amount of pressure placed on your oriental rug by the feet of those who step on it. A pad absorbs the shock created as the weight of the person is pressed into the rug through the feet or footwear. As the pad gets squished down, it takes a good amount of the weight and disperses it through the area that is compressed. 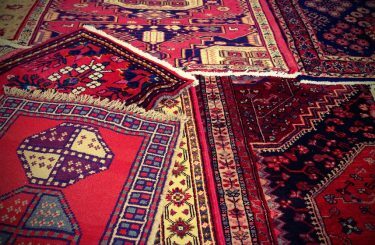 On the other hand, when you step on an oriental rug that does not have a pad, the weight has to be absorbed by the fibers of the rug itself. This causes the fibers of the rug to get crushed. Repeatedly crushing fabrics weakens them, eventually resulting in an early demise. The pad will help prevent this. A rug pad has a gripping effect on the area underneath. As it grips the surface, the rug is secured in place. Otherwise, if someone steps on the rug and either changes direction or tries to stop, the inertia of the person may cause the rug to keep going—taking the individual along for the ride. Accidents can result. 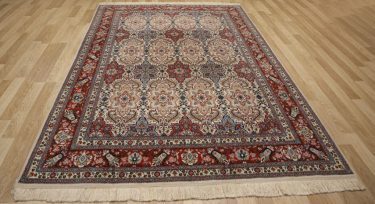 Many oriental rugs are made from materials that naturally slip on a variety of surfaces. To prevent a slipping hazard, it’s good to get a rug pad. The back of an oriental rug can sometimes be on the rough side. As people step on the rug, pressure is applied, and a little bit of motion can cause a scratch on the floor. Using a pad puts a barrier between the rough bottom of the rug and the floor on which it sits. A bigger danger would be dirt, pebbles and debris getting underneath the rug and then getting ground into the floor below. The use of a pad helps prevent this because pads tend to stick to the ground and therefore not move too much. This prevents dirt and other things from getting underneath the pad. If the floor is adequately protected with a pad, you won’t have to lift up your rug and find a defaced floor underneath. 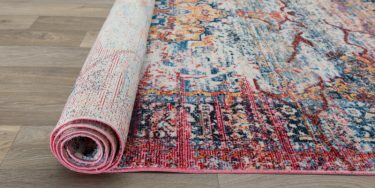 Even though an oriental rug may not have been woven with a pad in mind, a pad is a great idea in order to protect the rug, your floor and those who walk on the oriental rug. 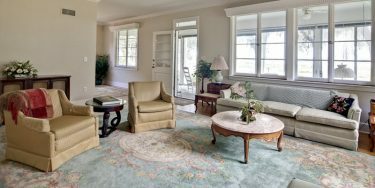 The safety of all three parties will make for a better oriental rug experience overall.